1. The microprocessor-controlled timer brings high-tech X-ray imaging at your fingertips. 2. The control panel allows an accurate and fast exposure time selection while protecting the head during X-ray examinations. 3. Fitted with 70KV 8mA X-ray tube (What is an X-ray tube? The construction of X-ray tube) with preheating grid. 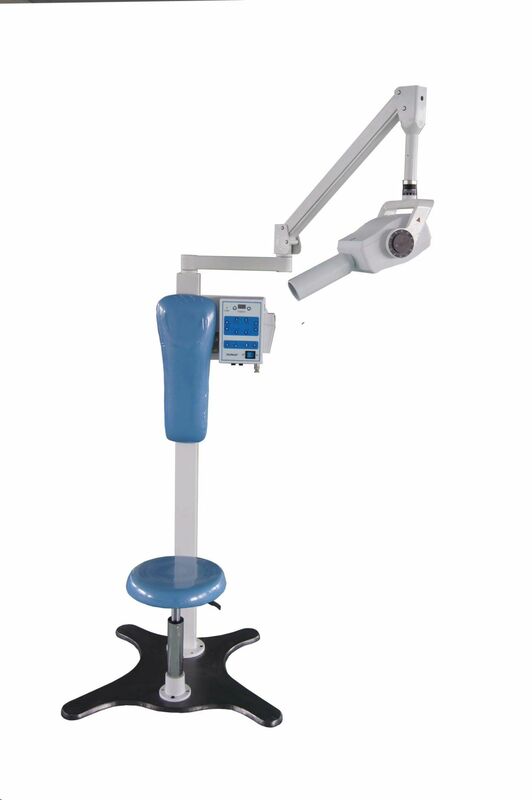 The machine has been specially designed for intraoral dental diagnosis applications. 4. Complies with local and imitational regulations on ionizing radiation protection for maximum safety. 5. The soft positioner arm ensures naturally smooth and well-balanced movements. It is easy installed at the desired height and length. 6. Its ergonomics and design have been studied to meet the requirements of the most semanding practices in matters of floor space optimization. 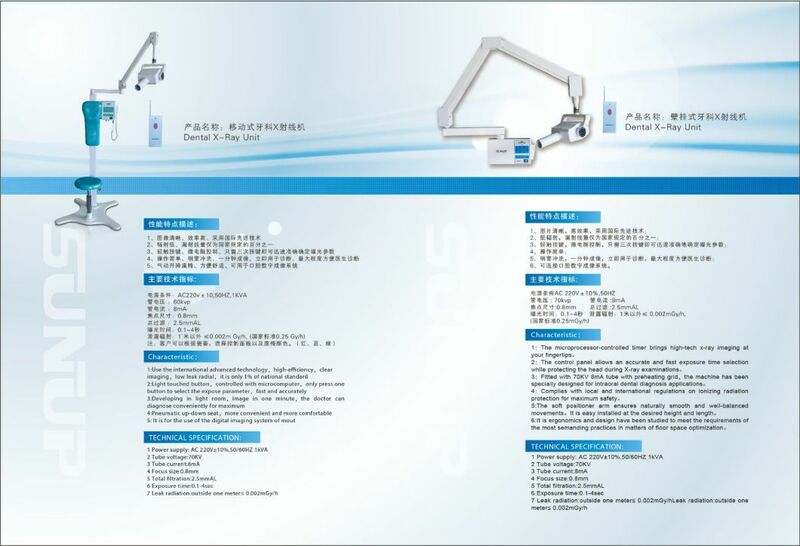 MSL sell all kinds of medical equipment (medical device, dental X ray unit, anesthesia machine, disabled equipment, ECG machine, ultrasound machine, X-ray machine and so on) If you have any demand, please do not hesitate to contact us. We will offer best product and best service. MEDSINGLONG GLOBAL GROUP CO., LTD (MSL) Â engages in selling medical equipments more than 10 years, such as Ultrasound machine,Xray machine,Blood analyzer,Biochemical analyzer,Veterinary equipment,Radiation protection equipment and so on. We are Supplying all kinds of medical equipments in high quality with competitive price. Whether the hospital or clinic,or for personal use,you can find your own favorite products. Therefore, lowest cost of your medical devices with good service and high quality is our goal.No the best,only better!We are ready to serve you! If you are interested in our products,please feel free to contact us! We are going to provide you the best price and service!